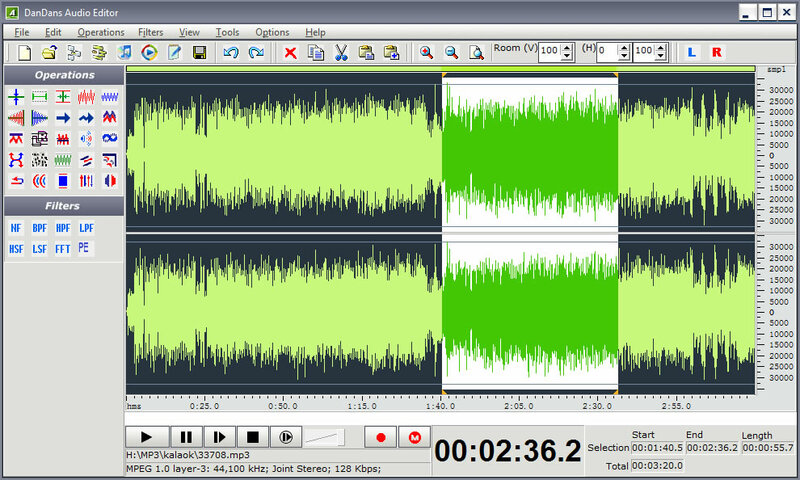 ...... You can use DanDans Audio Editor to make ringtones for your phone and digitize your old LPs and cassette tapes. And you can also use it to remove any unwanted part or ads from audio files. DanDans Audio Editor has a simple but attractive interface and pretty much everything you can do is intuitively obvious for anyone who has even a slight knowledge of what is going on. Qweas is providing links to DanDans Audio Editor 11.6.1 as a courtesy, and makes no representations regarding DanDans Audio Editor or any other applications or any information related thereto. Any questions, complaints or claims regarding this application DanDans Audio Editor 11.6.1 must be directed to the appropriate software vendor. You may click the publisher link of DanDans Audio Editor on the top of this page to get more details about the vendor.